I’ve got one shot, one night in Portland, and way to many good restaurants from which to choose. A first world problem to be sure but a problem nevertheless—the tyranny of choice. 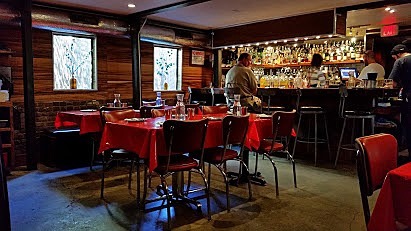 I suppose the best known restaurant in Portland is Pok Pok, the uber-hip, Thai restaurant that has received much attention from critics. It’s on my list of don’t miss restaurants, so I suggest it to my friend Nicole who is also visiting from out of town. But she says, “Take a look at the Yelp reviews. They’re not so good.” Indeed they are unimpressive: it’s too expensive, the portions are small, the food is too salty or too spicy, the dishes are unfamiliar, the service is slow, its good but overrated, yadda, yadda, yadda. So I resisted the resistance and Nicole was happy to be released from Yelper-whiner-syndrome. A good decision indeed because this was a memorable meal. I have never been to Thailand so I can’t comment on authenticity but it is the best Thai food I’ve had stateside. The restaurant was opened in 2006 by Andy Ricker as a hole-in-the-wall, take-out joint on the model of the mobile street vendors that are ubiquitous throughout Thailand. Ricker now has two sit down locations in Portland and one in both New York and LA. 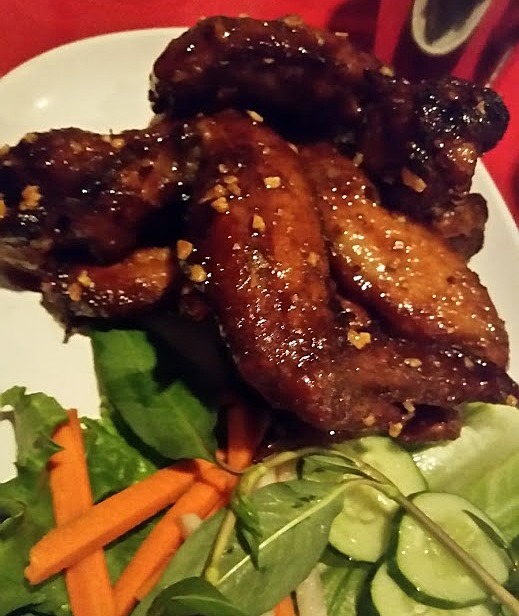 Pok Pok specializes in Northern Thai and Issan cuisine with Vietnamese and Chinese influences. There is no menu of multi-colored curries and thankfully nothing that resembles phad thai. The menu is packed with exotic dishes with unusual ingredients; only the most Thai-savvy diner would be able to tell from the description what a dish will taste like. The servings will work as small entrees, but you will want to order several dishes and share. A salad of pennywort with tomatoes, peanuts, sesame, pork rinds, and fried garlic with a fish sauce dressing was succulent and refreshing. The grilled boar collar was buried in a chile, garlic, and lime sauce that served as an explosive foil for the musky flavored meat. Prawns baked in a clay pot over pork belly and noodles served with a seafood dipping sauce had salty, spicy, sweet, and sour goodness in every bite. 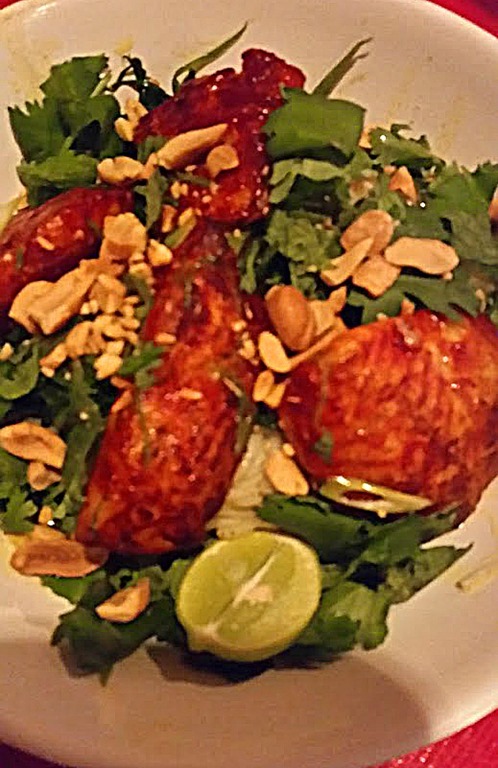 But the show stopper was the legendary Vietnamese dish Cha Ca La Vong. The menu describes it as “catfish marinated in turmeric and fermented sticky rice, fried in turmeric oil with scallions and dill, served on rice vermicelli with peanuts, mint and nouc cham.” This is a bowl of thin noodles covered with crisp, buttery chunks of catfish, slathered in peanuts, dill, cilantro and lime. With the addition of the nouc cham dipping sauce, the dish acquires a lovely, creamy texture, almost oily, that sets this dish apart. I know of no other dish like it with these textural elements. Drinking vinegar, by the way, should really find its way onto more menus. I have no idea if they are a tradition in Thailand but in 17th and 18th century England they were a way of preserving fruit. Called “shrubs” they were made by pouring vinegar over fruit, left to infuse for several days, strained and then mixed with sugar or honey and reduced to make a syrup. Mix with club soda and add some booze if you like and you have a refreshing cocktail. There is some outdoor seating but inside the atmosphere is “tourist dive bar” with lots of activity, low ceilings, a dominating bar, few windows, plenty of shadows, and staff in skid-row chic attire—inviting but edgy and I imagine at peak hours rather frantic. The service was great but we arrived in late afternoon to beat the crowds. All other Thai food is now dead to me. I cannot abide any more multi-colored curries. Pok Pok is the Thai that blinds. Ah fish sauce. There is nothing like a little fermented anchovies to make your party come alive. Pop open the lid and take a whiff. It would wake the dead. If you invited your worst enemy to the party, rub a little on your hands and pat his shoulder when he comes in the door. But if it’s a party for friends, spike the guacamole with it. 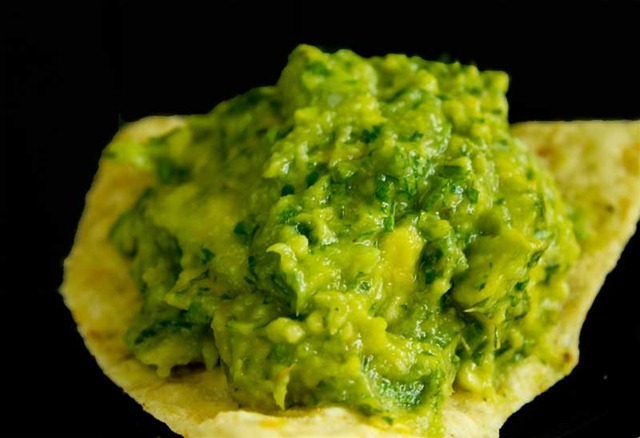 Lots of acidity and loaded with strong flavors, the avocado takes a back seat in this Thai-influenced guacamole. It won’t replace Diana Kennedy’s classic recipe for the real Mexican stuff, but it’s really good and remarkable enough to get people talking about it. Fish sauce, an essential ingredient in Vietnamese and Thai cooking, is an amazing ingredient. Fish, water, and salt are put in huge wooden barrels and left to ferment for a year. The liquid is then drawn off through spigots and with some final processing is ready for bottling. It smells like a combination of stinky French cheese and the week-old fish you discovered in the back of the fridge but it’s loaded with umami and gives sauces and soups (and condiments) a depth of flavor and body that salt could only dream about. I understand the Romans used to make the stuff but it disappeared from their cuisine. This is a rare case in which the Italians may have missed the boat when it comes to food. Add some chunks of avocado if you want to bring out more pure avocado flavor.